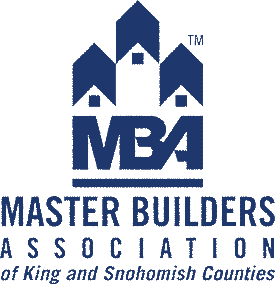 We all know about the most common type of shingle in the United States; asphalt composition. Not many people know what they are made of or how they work. 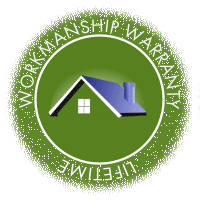 If you want a roof put on right by a reputable roofer it is good to know a little bit about them. Shingles are made primarily of asphalt that is formed around a fiberglass core. Fiberglass is strong and flexible and will not deteriorate in extreme climatic conditions. If is a web that asphalt can adhere to providing structural integrity and help keep the asphalt from tearing or ripping. The fiberglass is saturated with a thick coat of asphalt. The amount of asphalt applied can have an influence on the life of the roof. 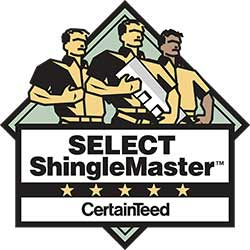 Shingles are often specified by weight. A typical measure is the weight of a (100 ft) square of shingles. Shingle weights vary between 180 lbs for a basic 3-tab shingle to over 350 lbs for an architectural shingle. Asphalt is used for shingles because it is inexpensive, flexible, and impervious to water. The asphalt used in shingles wears out over time due to outgassing of volatile petroleum substances. 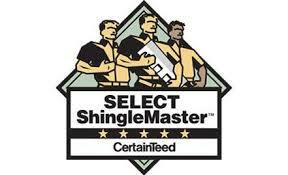 As this happens the shingles shrink, become less flexible, crack, and eventually deteriorate and leak. Two components of increased decay are high temperature and uv sun rays. Colored crystals are applied to the shingle to reflect UV rays and reduce shingle temperature. Proper attic ventilation is the other component to reducing temperature and preserving shingle life. As shingles age, the crystals become less adherent and fall off the shingle causing faster deterioration in a downward spiral. Walking on older roofs can exacerbate the problem, as can pressure washing. Another foe of roofing shingles is the wind. The roof forms a large surface area and wind blowing over a roof can lift shingles causing them to crack, break, or even blow off. As the shingles lift they form a sail that increases the wind pressure on the entire roof structure. Nails in the shingles hold them down on the roof deck, but shingles can tear right through the nail head: especially true when nailing has not been done right. Shingles also contain sealant strips. These strips are covered in protective tape when new. The tape is peeled off when the shingle is laid. Heat melts the sealant strip and causes the shingles to litterally be glued together. This bond is critical to keeping the wind from lifting up large sections of shingles and pealing them off the roof. A lot of factors impact how long a roof will last but eventually it is going to fail with age. While new roofs are expensive, it is good to keep in mind that the material you are using to protect your home from all types of intense weather costs only about half of what a homeowner spends on carpet per square foot!